Everyone wants to know about great ways to make money from home. Sadly, there are no get rich schemes that are (a) legitimate or (b) actually work. But, there are many legitimate ways to start making money from home, and if you like writing, then there are plenty of options available. You could of course create your own website and monetise it (find out more about that here). You could also make money writing articles for other people, and there are a range of sites that I’ll introduce to you to, to show you just how to do that. The fact is, there are tonnes of blogs and websites that pay people to write content. Depending on how much you want to write, you could apply to a number of sites and write for many simultaneously, earning yourself a part-time or a full time income. I won’t be reviewing all the sites that pay people to write, just a selection of the ones I prefer. iWriter would have to be one of the most popular article writing sites right now. Joining iWriter is quick and easy. All that’s required is your name and email address. Once you’re in, you’ll notice that there are three levels of ‘writer status’. These are Standard, Premium, Elite and Elite Plus. What you get paid per article will depend on your writer status. You can fast track through the iWriter program in two ways. You can either apply and pay a fee, or work your way up. By applying and paying the application fee of $197, you can fast track the process. You will be asked to write three articles based on the keywords given to you. Your articles will be reviewed and given a star rating. An average rating between 4 and 4.6 will promote you premium immediately. An average of 4.6 and higher will grant you elite writer status. To become a Premium writer, you must have a minimum of 30 reviews and an average of a 4 star rating, out of 5. To become an Elite writer, you must have a minimum of 30 reviews and an average of a 4.6 star rating (or higher) out of 5. The time taken to do this will depend on how much you write. The reason that iWriter have the tiered system is to ensure the quality of their writers. 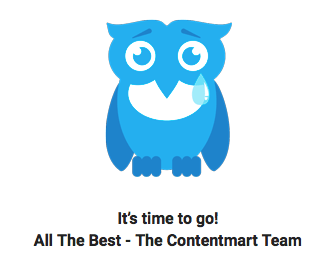 Contentmart will be retiring on 22 August 2018. As such I have removed details of how to set up an account and submit jobs etc. “On a technical note, this month, we will be settling down all the open accounts and tickets by 22nd August 2018. Also, all the client and writer information will be permanently deleted from the servers effective after closing project. Place a refund request using “Balance” menu before 22nd Aug, 2018. As a provider, you can offer your services in any of these categories. Services are provided from $5 and up to $995, and as a service provider, you negotiate the price. The price will depend on the size and complexity of the work, the turnaround time, and the number of others within the Fiverr platform who can offer the same services. It’s free to sign up to Fiverr as a buyer or a seller, and you will need to become a registered member before being able to buy or sell. You get to keep 80% of each transaction, so you’ll need to factor that into your pricing. Once you complete a buyers order, the money is transferred to your account. To get started, you need to do a sign up article. The editors at textbroker will give you an initial author rating. You are provided with regular feedback so that you can improve your rating over time. Like other writing platforms, your pay is based on your rating. Open orders relate to you being able to choose the projects you work on that are listed for your quality rating. You are then paid based on the word count associated with your quality ranking. Direct orders occur when you are engaged directly to do a piece of writing based on your author profile and your track record at textbroker. In this scenario, you set the price per word regardless of your quality rating. It is very worthwhile to spend time on your author profile so that you can be approached with relevant and high paying direct orders. Team orders are where you write as a team member. You can join as many teams as you like. When you are getting started, it is best to go for open orders. If you are a website owner, you can pay others to write some content for you. If you have a number of projects going on, this can be a very effective way to keep up with your content. As we all know, in order for our sites to rank, content needs to be flowing. What writing platforms have you used in the past, and what has worked for you? Leave me a comment or a question and I’m happy to help.